With NAB 2019 only days away, the Backblaze team is excited to launch into the world’s largest event for creatives, and our biggest booth yet! This year we’ll be celebrating some of the phenomenal creative work by our customers, including American Public Television, Crisp Video, Falcons’ Digital Creative, WunderVu, and many more. We’ll have workflow experts standing by to chat with you about your workflow frustrations, and how Backblaze B2 Cloud Storage can be the key to unlocking efficiency and solving storage challenges throughout your entire workflow: From Action! To Archive. 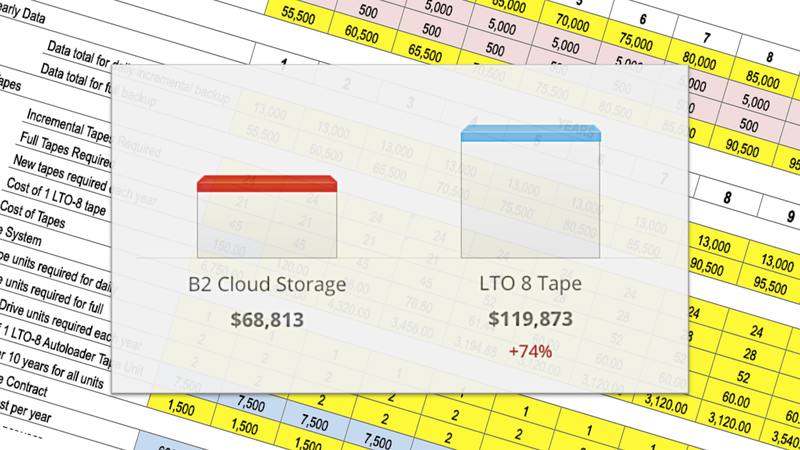 With B2, you can focus on creating and managing content, not managing storage. Stop by our booth and we can show you how you can protect your content from ingest through work-in-process by syncing seamlessly to the cloud. We can also detail how you can improve team collaboration and increase content reuse by organizing your content with one of our MAM integrations. Our experts can show you how B2 can help you scale your content library instantly and indefinitely, and avoid the hassle and expense of on-premises storage. We can demonstrate how everything in your content library can be served directly from your B2 account or through our content delivery partners like Cloudflare. 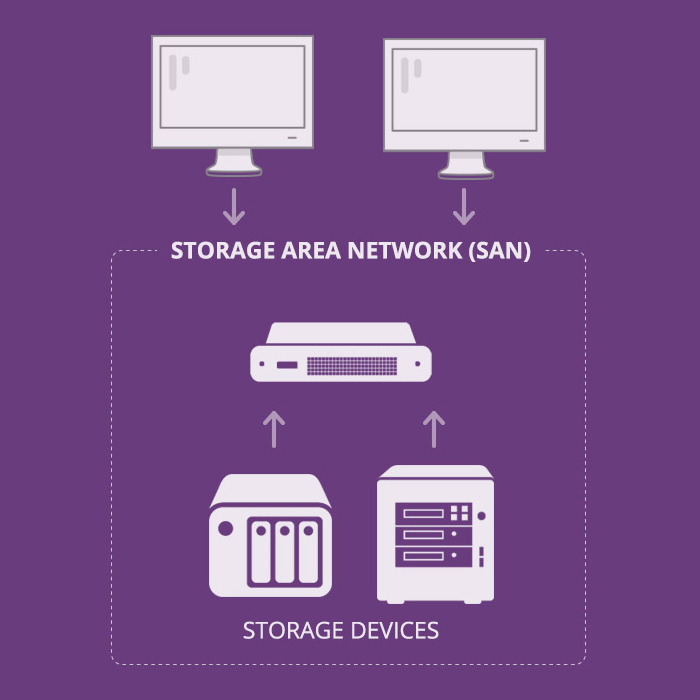 Want to see the math behind the first cloud storage that’s more affordable than LTO? We can step through the numbers. We can also show you how B2 will keep your archived content accessible, anytime, and anywhere, through a web browser, API calls, or one of our integrated applications listed below. Our fantastic workflow partners are a critical part of your creative workflow backed by Backblaze — and there’s a lot of partner news to catch up on! Monday morning we’re delivering a presentation in the Scale Logic Knowledge Zone, and Tuesday night of NAB we’re honored to help sponsor the all-new Faster Together event that replaces the long-standing Las Vegas Creative User Supermeet event. We’ll be raffling off a Hover2 4K drone powered by AI to help you get that perfect drone shot for your next creative film! So after the NAB show wraps up on Tuesday, head over to the Rio main ballroom for a night of mingling with creatives and amazing talks by some of the top editors, colorists, and VFX artists in the industry. Monday of NAB, Backblaze and PVT will deliver a live presentation for NAB attendees on how to build hybrid-cloud workflows with Cantemo and Backblaze. If you haven’t yet, be sure to sign up and reserve your meeting time with the Backblaze team, and add us to your Map My Show NAB plan and we’ll see you there! 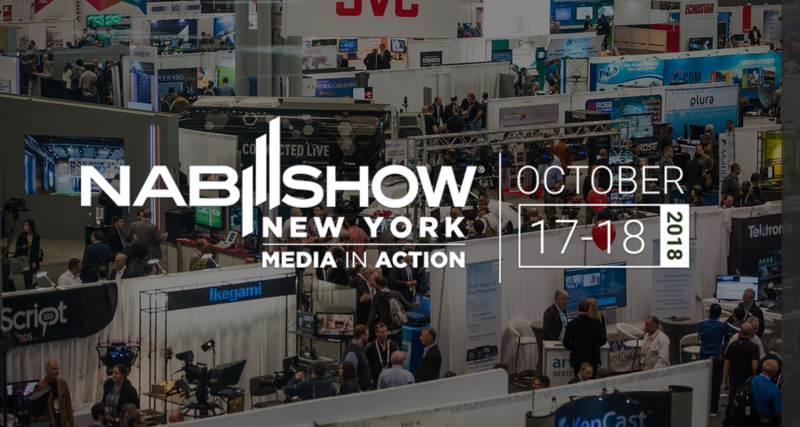 NAB 2019 is just a few days away. Schedule a meeting with our cloud storage experts to learn how B2 Cloud Storage can streamline your workflow today! 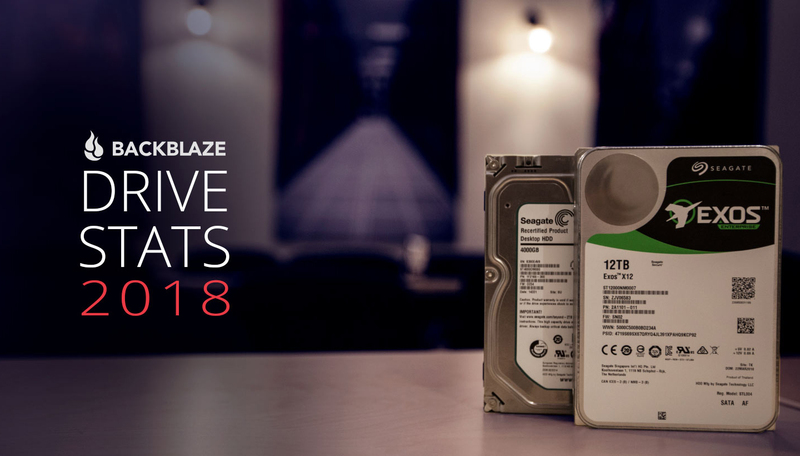 The post Backblaze’s Must See List for NAB 2019 appeared first on Backblaze Blog | Cloud Storage & Cloud Backup. Whatever your creative venture, the byproduct of all your creative effort is assets. Whether you produce music, images, or video, as you produce more and more of these valuable assets, they tend to pile up and become difficult to manage, organize, and protect. As your creative practice evolves to meet new demands, and the scale of your business grows, you’ll often find that your current way of organizing and retrieving assets can’t keep up with the pace of your production. 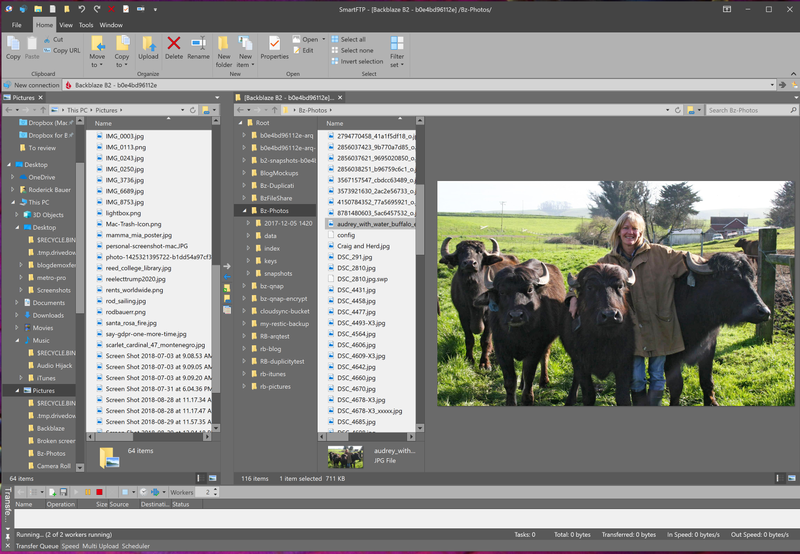 For example, if you’ve been managing files by placing them in carefully named folders, getting those assets into a media asset management system will make them far easier to navigate and much easier to pull out exactly the media you need for a new project. Your team will be more efficient and you can deliver your finished content faster. 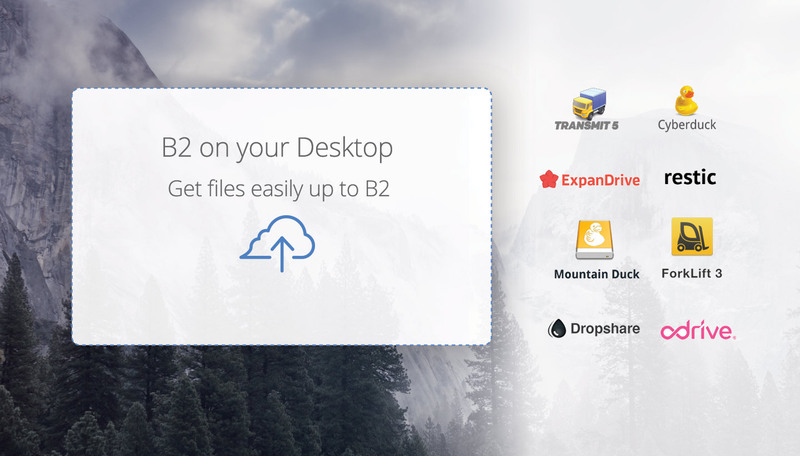 As we’ve covered before, putting your assets in a type of storage like B2 Cloud Storage ensures that they will be protected in a highly durable and highly available way that lets your entire team be productive. With some smart planning, and a little bit of knowledge, you can be prepared to get the most of your assets as you move them into an asset management system, or when migrating from an older or less capable system into a new one. Before we can build some playbooks to get the most from your creative assets, let’s review a few key concepts. 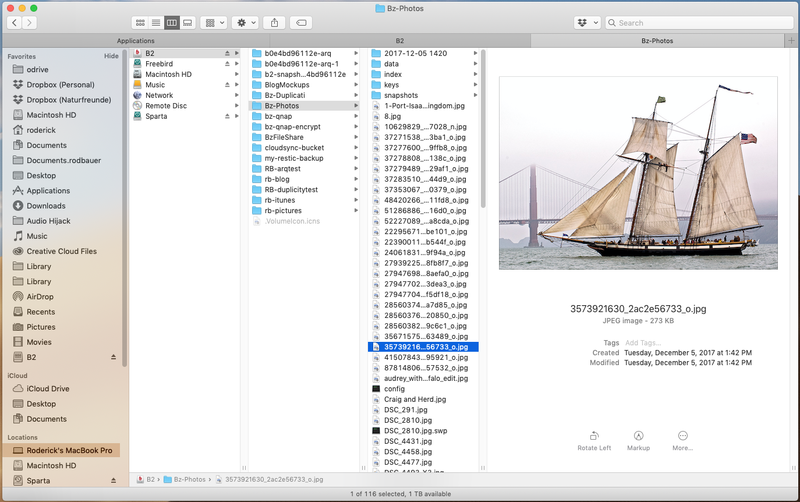 Asset — a rich media file with intrinsic metadata. An asset is simply a file that is the result of your creative operation, and most often a rich media file like an image or a video. Typically, these files are captured or created in a raw state, then your creative team adds value to that raw asset by editing it together with other assets to create a finished story that in turn, becomes another asset to manage. Metadata — Information about a file, either embedded within the file itself or associated with the file by another system, typically a media asset management (MAM) application. The file carries information about itself that can be understood by your laptop or workstation’s operating system. Some of these seem obvious, like the name of the file, how much storage space it occupies, when it was first created, and when it was last modified. These would all be helpful ways to try to find one particular file you are looking for among thousands just using the tools available in your OS’s file manager. 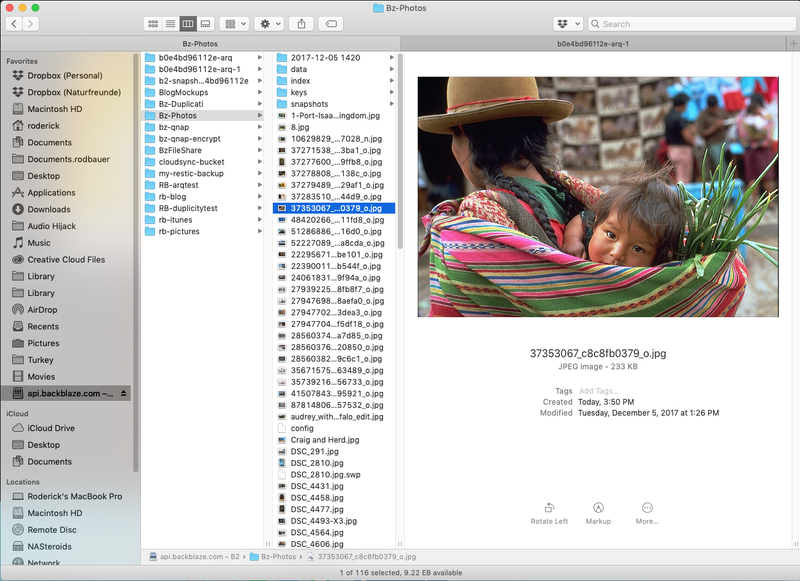 There’s usually another level of metadata embedded in media files that is not so obvious but potentially enormously useful: metadata embedded in the file when it’s created by a camera, film scanner, or output by a program. 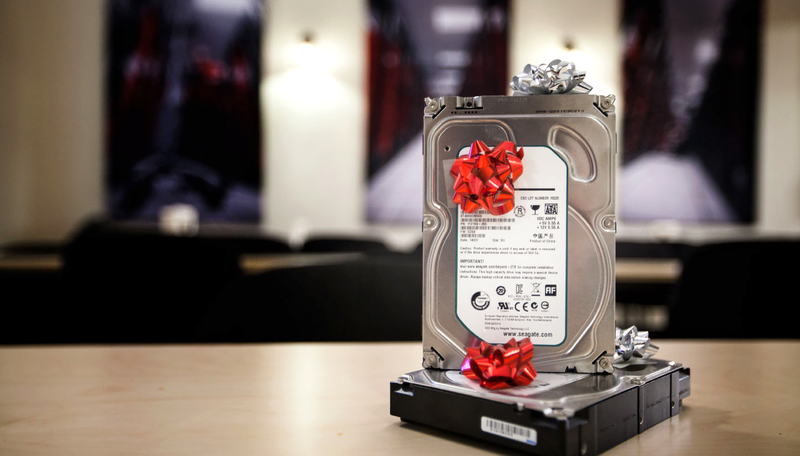 For example, this image taken in Backblaze’s data center a few years ago carries all kinds of interesting information. 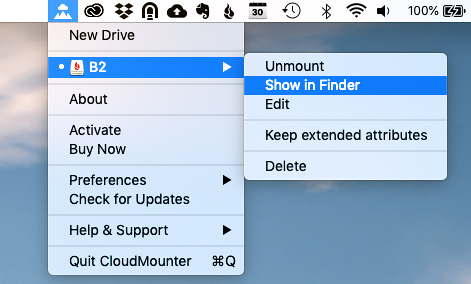 For example, when I inspect the file on macOS’s Finder with Get Info, a wealth of information is revealed. I can now not only tell the image’s dimensions and when the image was taken, but also exactly what kind of camera took this picture and the lens settings that were used, as well. As you can see, this metadata could be very useful if you want to find all images taken on that day, or even images taken with that same camera, focal length, F-stop, or exposure. Inspecting files one at a time is useful, but a very slow way to determine if a file is the one you need for a new project. Yet many creative environments that don’t have a formal asset management system get by with an ad hoc system of file and folder structures, often kept on the same storage used for production or even on an external hard drive. 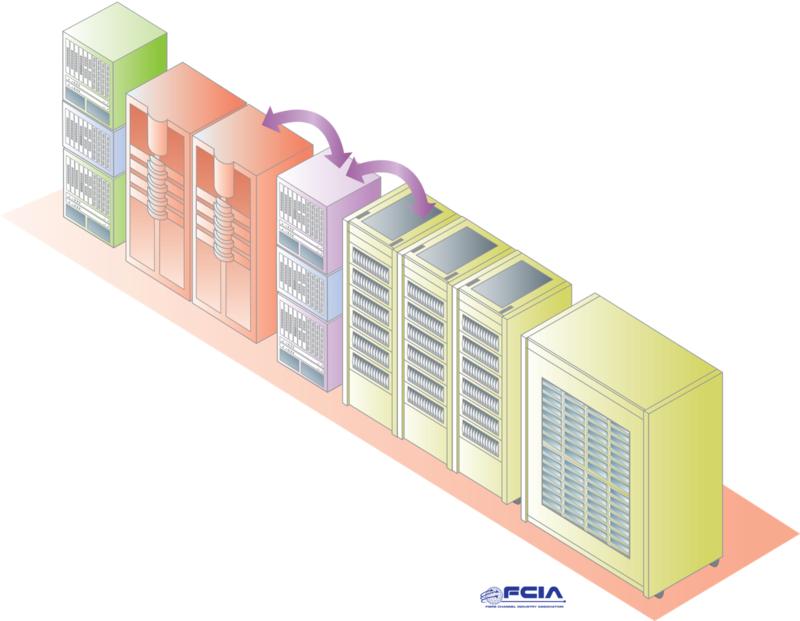 Teams quickly outgrow that system when they find that their work spills over to multiple hard drives, or takes up too much space on their production storage. Worst of all, assets kept on a single hard drive are vulnerable to disk damage, or to being accidentally copied or overwritten. 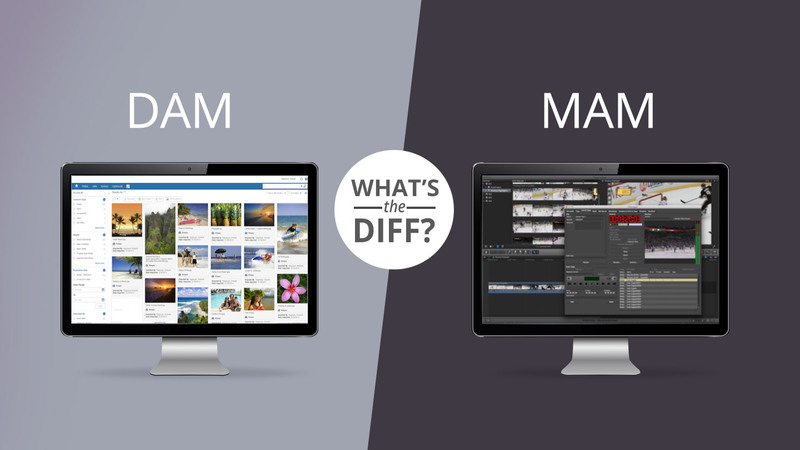 To meet this challenge, creative teams have often turned to a class of application called a Media Asset Manager (MAM). A MAM automatically extracts all their assets’ inherent metadata, helps move files to protected storage, and makes them instantly available to their entire team. 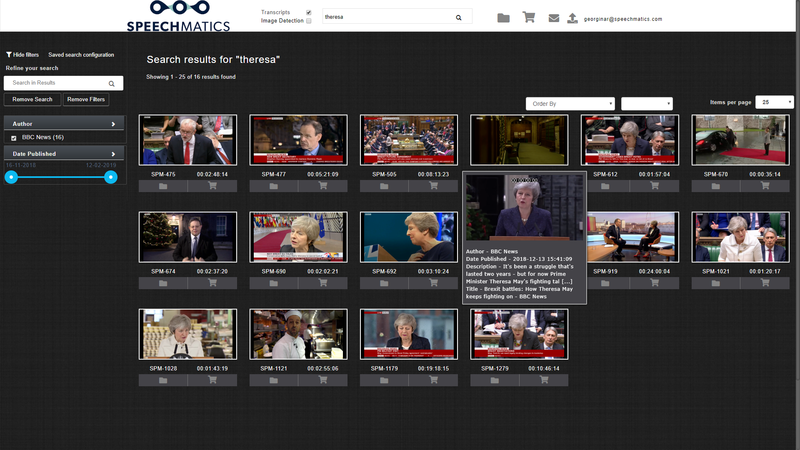 In a way, these media asset managers become a private media search engine where any file attribute can be a search query to instantly uncover the file they need in even the largest media asset libraries. Beyond that, asset management systems are rapidly becoming highly effective collaboration and workflow tools. For example, tagging a series of files as Field Interviews — April 2019, or flagging an edited piece of content as HOLD — do not show customer can be very useful indeed. When you add files into an asset management system, the application inspects each file, extracting every available bit of information about the file, noting the file’s location on storage, and often creating a smaller stand-in or proxy version of the file that is easier to present to users. To keep track of this information, asset manager applications employ a database and keep information about your files in it. 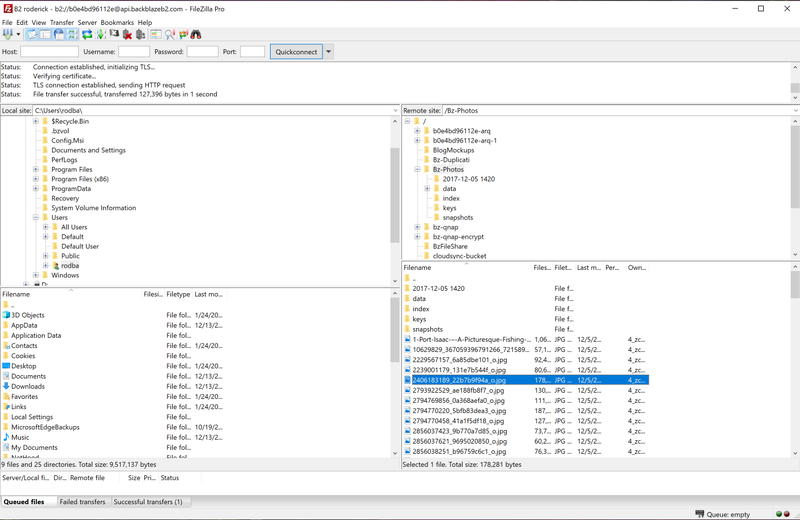 This way, when you’re searching for a particular set of files among your entire asset library, you can simply make a query of your asset manager’s database in an instant rather than rifling through your entire asset library storage system. 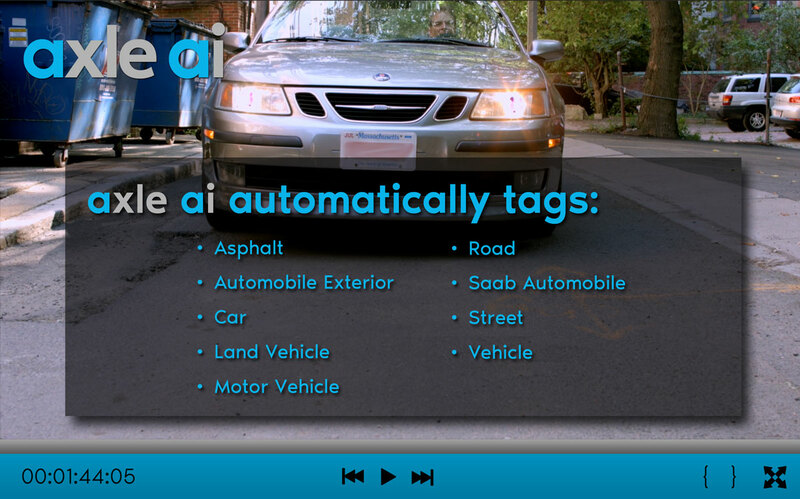 The application takes the results of that database query and retrieves the files you need. Whether you need to move from a file and folder based system to a new asset manager, or have been using an older system and want to move to a new one without losing all of the metadata that you have painstakingly developed, a sound playbook for migrating your assets can help guide you. In this scenario, your assets are in a set of files and folders, and you aren’t ready to implement your asset management system yet. The first consideration is for the safety of the assets. 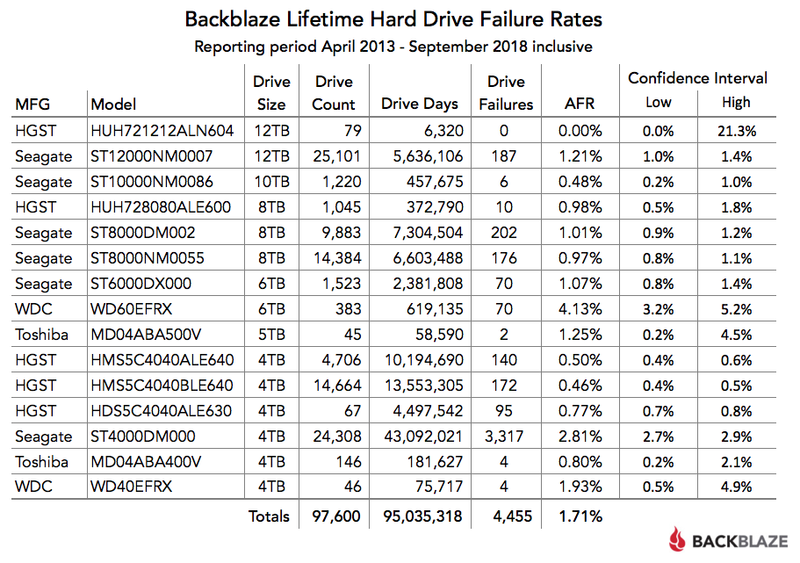 Files on a single hard drive are vulnerable, so if you are not ready to choose an asset manager your first priority should be to get those files into a secure cloud storage service like Backblaze B2. Then, when you have chosen an asset management system, you can simply point the system at your cloud-based asset storage to extract the metadata of the files and populate the asset information in your asset manager. 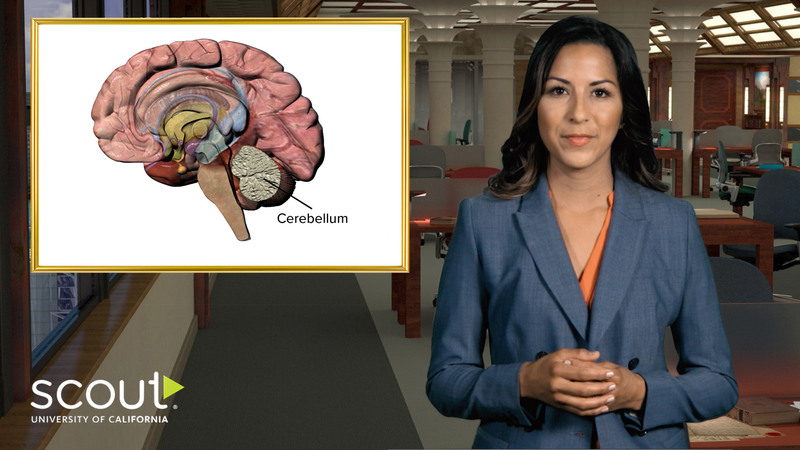 In this scenario, you’ve chosen your asset management system, and need to get your local assets in files and folders ingested and protected in the most efficient way possible. 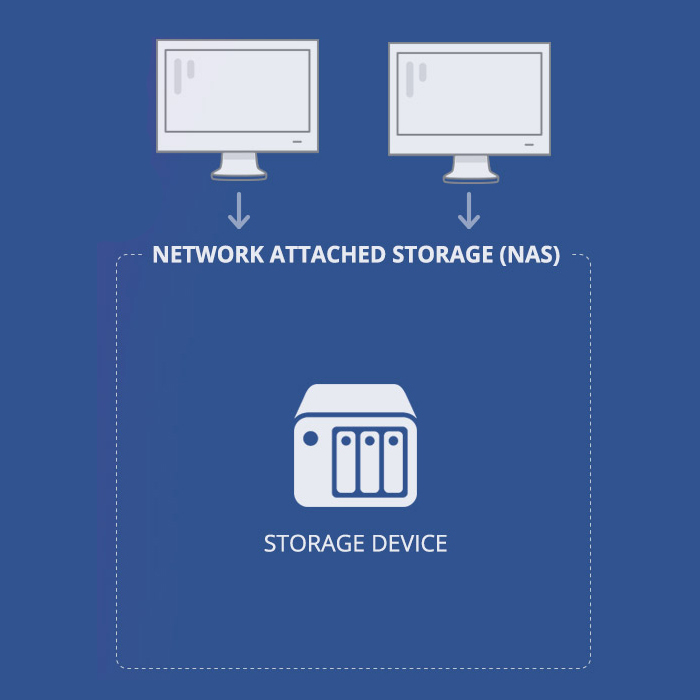 You’ll ingest all of your files into your asset manager from local storage, then archive them to cloud storage. Once your asset manager has been configured with your cloud storage credentials, it can automatically move a copy of local files to the cloud for you. Later, when you have confirmed that the file has been copied to the cloud, you can safely delete the local copy. If you have a lot of content, more than say, 20 terabytes, you will want to use a rapid ingest service similar to Backblaze’s Fireball system. 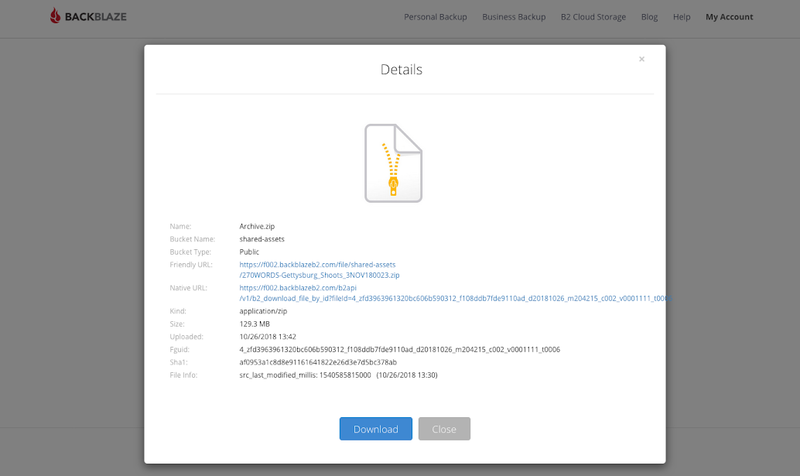 You copy the files to Fireball, Backblaze puts them directly into your asset management bucket, and the asset manager is then updated with the file’s new location in your Backblaze B2 account. This can be a manual process, or can be done with scripting to make the process faster. 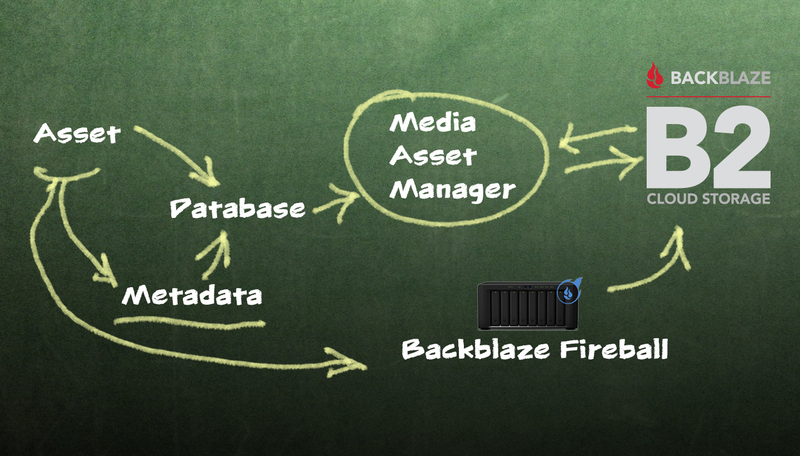 You can read more about Backblaze Fireball on our website. In this scenario you have an existing asset management system and need to move to a new one as efficiently as possible to not only take advantage of your new system’s features and get files protected in cloud storage, but also to do it in a way that does not impact your existing production. Some asset management systems will allow you to export the database contents in a format that can be imported by a new system. Some older systems may not have that luxury and will require the expertise of a database expert to manually extract the metadata. Either way, you can expect to need to map the fields from the old system to the fields in the new system. Making a copy of old database is a must. Don’t work on the primary copy, and be sure to conduct tests on small groups of files as you’re migrating from the older system to the new. You need to ensure that the metadata is correct in the new system, with special attention that the actual file location is mapped properly. It’s wise to keep the old system up and running for a while before completely phasing it out. 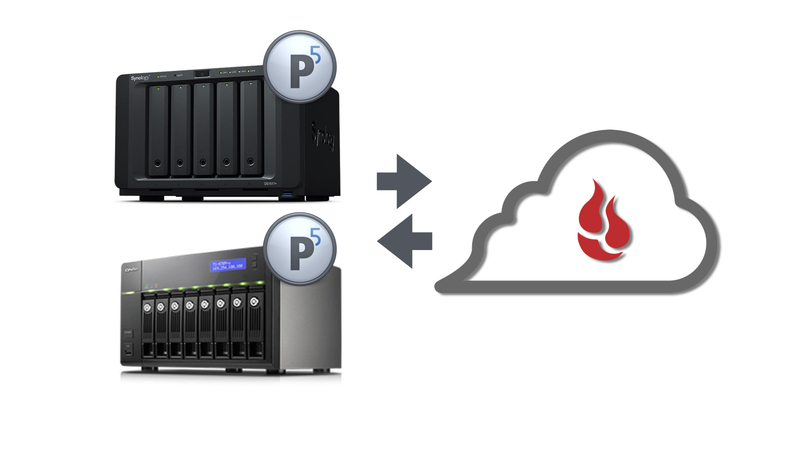 In this variation of Play 4, you can move content to object storage with a rapid ingest service like Backblaze Fireball at the same time that you migrate to a cloud-based system. This step will benefit from scripting to create records in your new system with all of your metadata, then relink with the actual file location in your cloud storage all in one pass. You should test that your asset management system can recognize a file already in the system without creating a duplicate copy of the file. This is done differently by each asset management system. Every production environment is different, but we all need the same thing: to be able to find and organize our content so that we can be more productive and rest easy knowing that our content is protected. These plays will help you take that step and be ready for any future production challenges and opportunities. 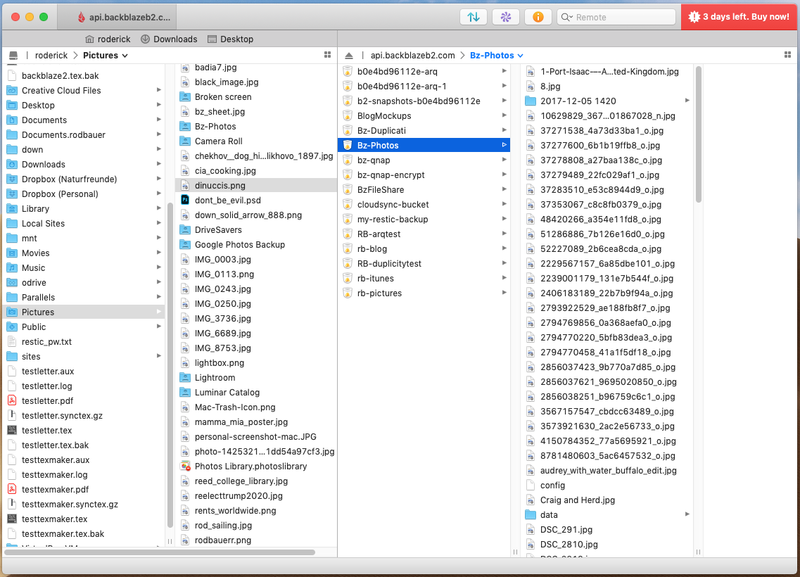 The post A Workflow Playbook for Migrating Your Media Assets to a MAM appeared first on Backblaze Blog | Cloud Storage & Cloud Backup. 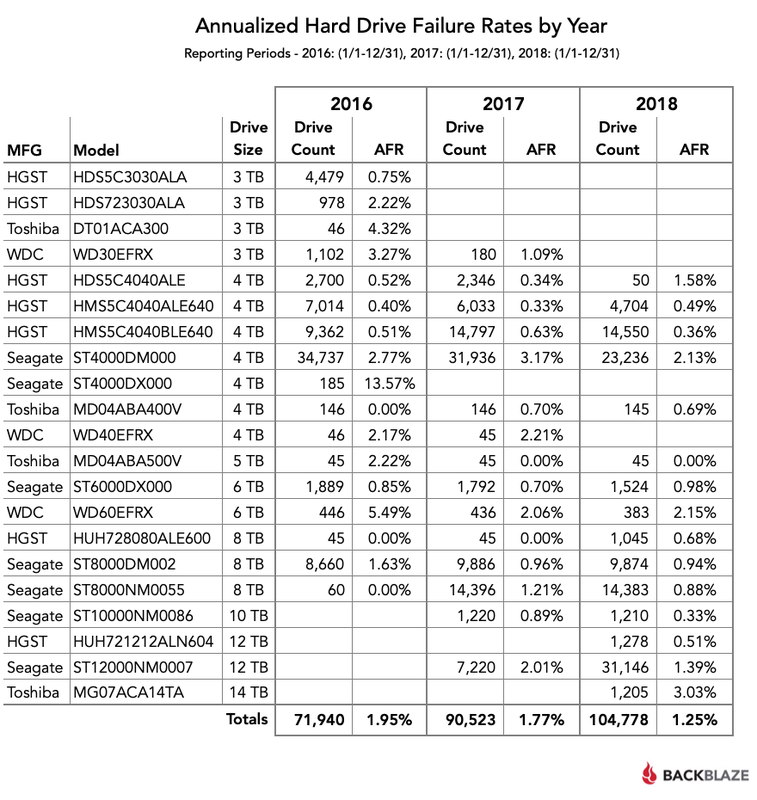 Not too long ago, hardware storage vendors held an iron grip on what kinds of storage underpinned your creative, film, and broadcast workflows. This storage took many complex forms — RAIDs, JBODs, SANs, NAS systems, tape robots, and more. All of it was expensive, deeply complex, and carried fat vendor margins and high support costs. 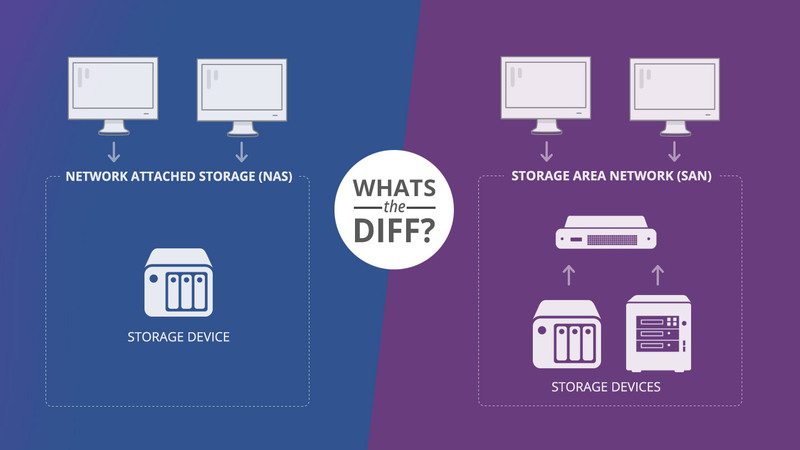 But when you’re considering storage in today’s technology environment — whether it’s cloud, on-site storage, or a USB stick — the guiding principle in choosing storage for your creative production should simply be to choose the storage that best fits each workflow step. Doing your best creative work is what builds your customer base, boosts your reputation, and earns you revenue and royalties. So any time sunk into legacy storage solutions, wrestling with complexity, unneeded production steps, refereeing competing vendors, and overpaying for, well, everything, just gets in the way of what you really want to do, create. The right answer for your specific production needs is a function of the size of your production team and the complexity of your operating environment. Whatever that answer is, it should be as frictionless an environment as possible that helps you get your work done more efficiently and gives you the most flexibility. 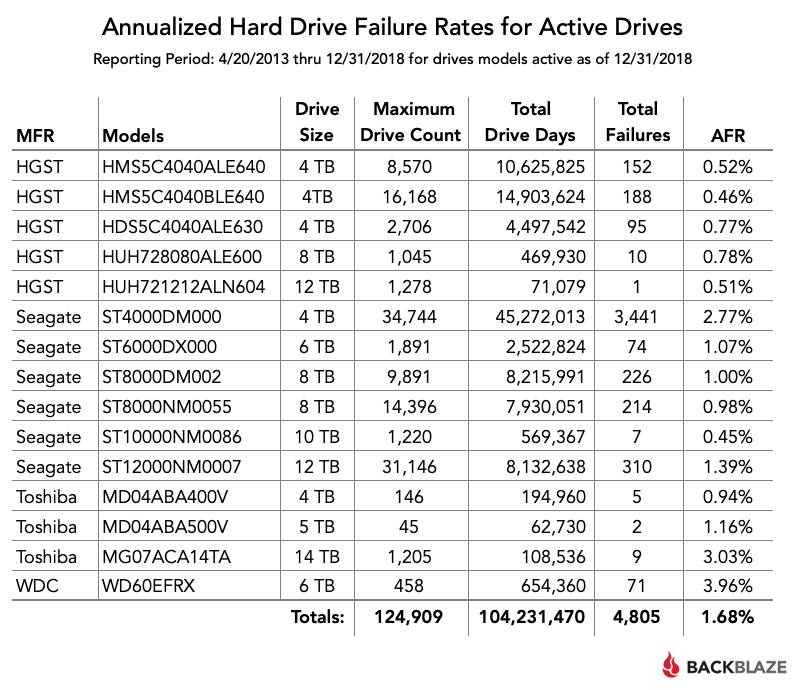 An independent filmmaker can follow this production storage evaluation process for each stage of their workflow and decide to make do with a small deskside RAID system for primary production storage, and depend on the cloud for everything else. A large, global production team will probably need multiple SANs in each production office and a complex series of cloud and dedicated playout applications and systems. 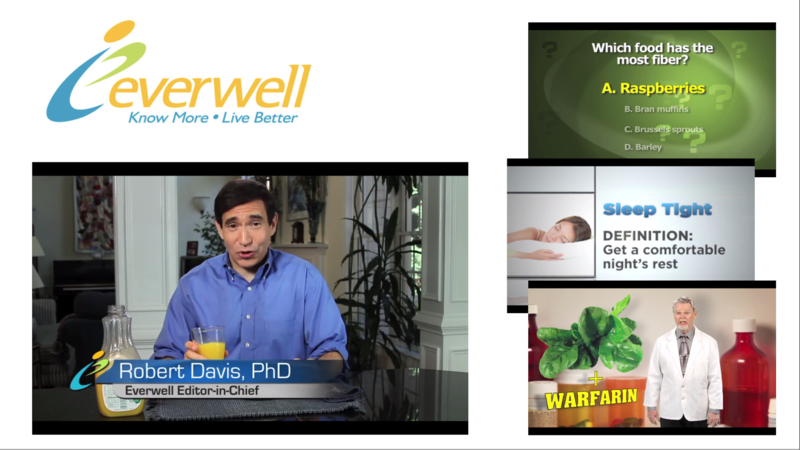 If your environment falls somewhere between those two extremes, then your ideal solution mix does as well. 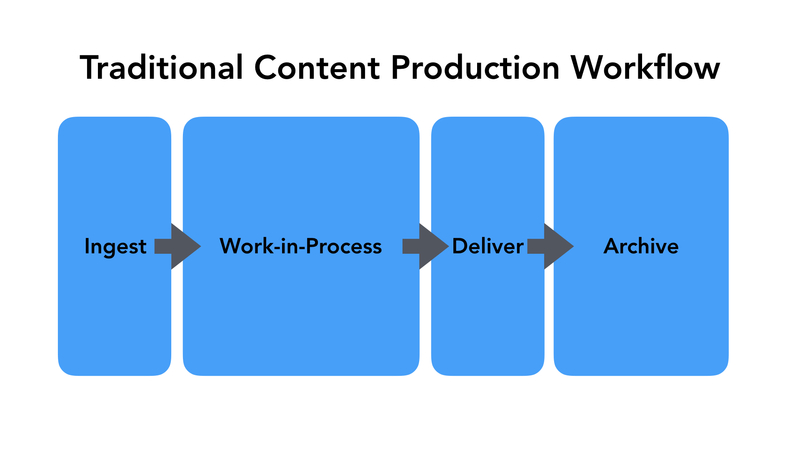 The traditional content production workflow is thought of as a linear process. Content is ingested as raw camera files pulled into a shared work-in-process storage for editors, the final cut is then delivered to the client, and when the project is finished all files are saved off to an archive. 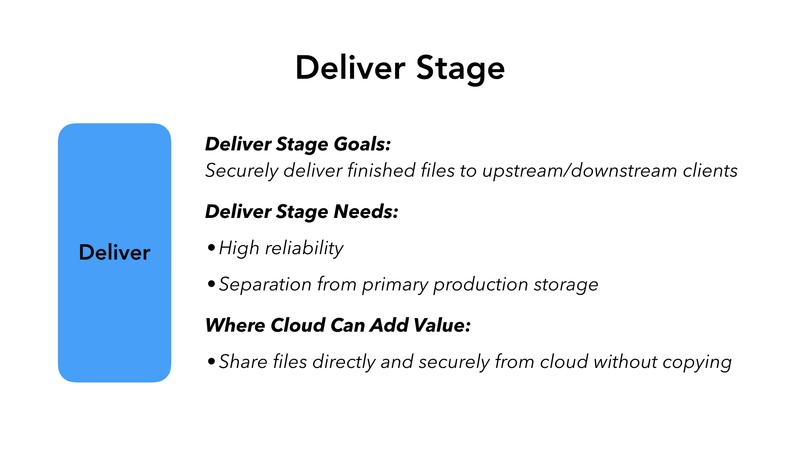 Let’s look at what the storage requirements and needs are for each of the common steps in a production workflow and where cloud can add value. Along the way, we’ll call out concrete examples of cloud capabilities at each stage with B2 cloud storage. Media copied in the ingest phase typically needs to get off of camera carts and flash drives as quickly and safely as possible and transported to the editing environment. Since those camera carts need to be used again for the next shot, pressure to get files copied over quickly (but safely) is intense. Any time that critical content exists only in one place is dangerous. At this stage, lost or corrupted files mean a reshoot, which may not be practical or even possible. 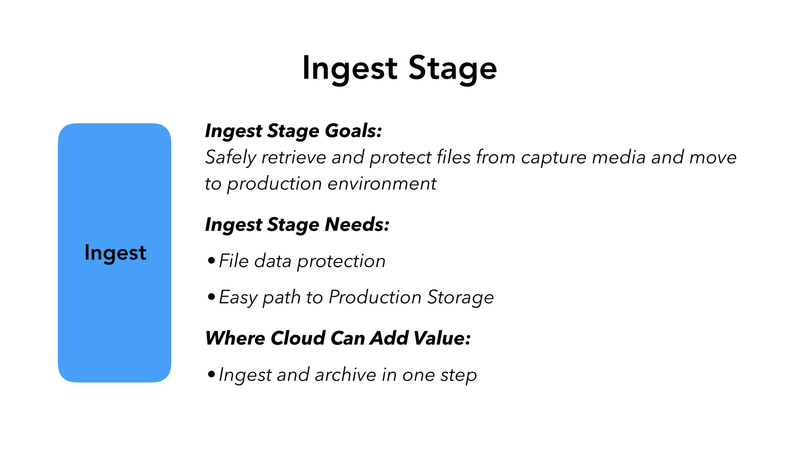 Storage at the ingest stage can be very rudimentary and is often satisfied by just copying files from camera carts to an external drive, then to another drive as a safety, or by putting a RAID system on a crash cart on-set. Every team tends to come up with a different solution. 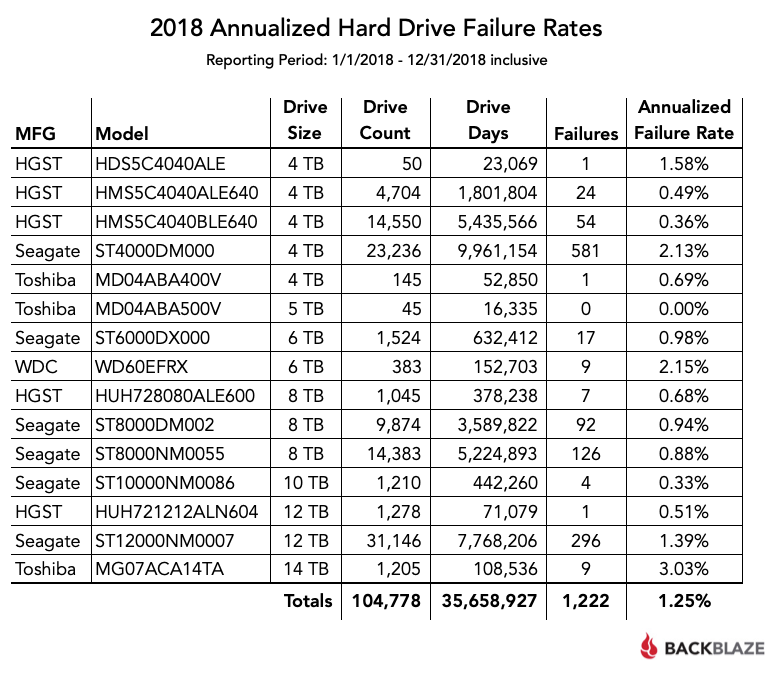 But even if your data wranglers aren’t ready to give up external hard drives here, one way cloud can help in the ingest stage is to help combine your ingest and archive for safety steps. Instead of carrying carts from the shoot location to the production environment and copying them over to production storage, you could immediately start uploading content via the internet to your cloud storage, simultaneously copying over those files safely, and making them available to your entire team immediately. 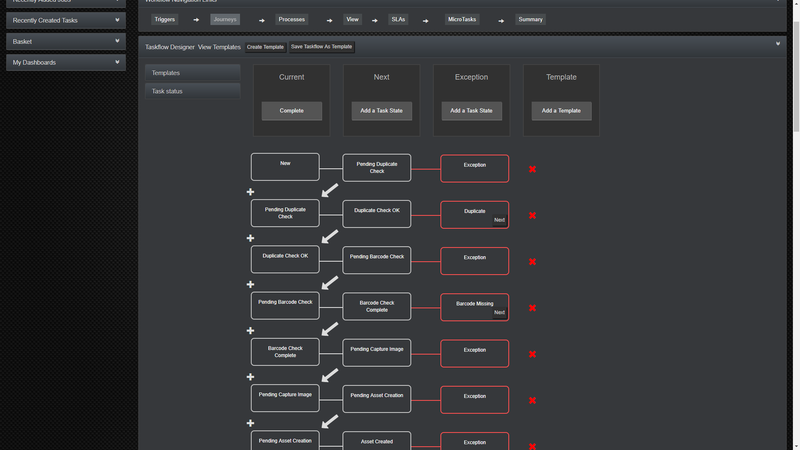 When you restructure your workflow like this, you’ll get better than RAID-level protection for your content in the cloud. 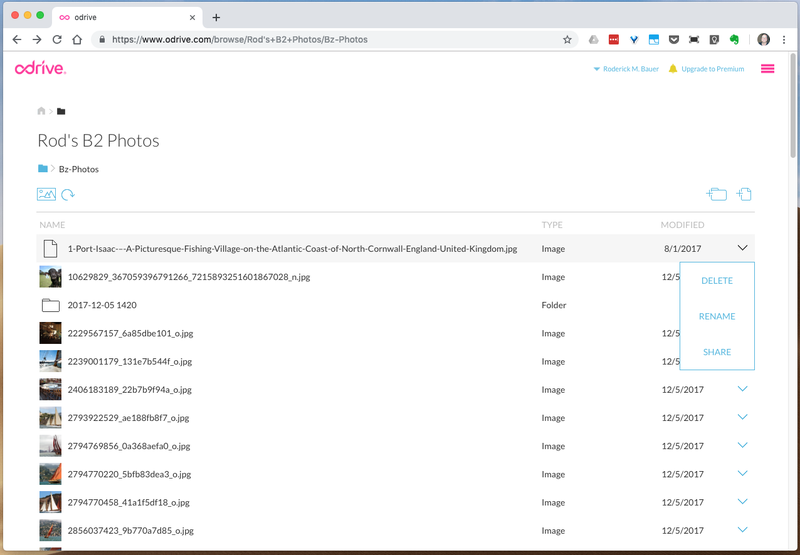 And by checking content into your archive first, your asset manager tools can immediately start processing those files by adding tags and generating lighter weight proxies. As soon as the files hit cloud storage, your entire team can start working on them. They can immediately begin tagging and reviewing files, and even mark edit points before handing off to editors, thereby speeding up production dramatically. Some creatives have hit a roadblock in trying to take advantage of the cloud. Data transfer has historically been gated by the available upload bandwidth at your given location, but our customers have solved this in some interesting ways. Producers, editors, and reporters are finding that even cellular 4G internet connections make it feasible to immediately start uploading raw shots to their cloud storage. Others make it routine to stop off at a data center or affiliate with excellent upload speeds on their way in from the field. Either way, even novice shooters and freelancers can safely get content into your system quickly in a system that can be as simple as an upload bucket in your B2 account and making sure that your media or project manager tools are configured to watch those upload points. Backblaze offers a Rapid Ingest Service to help get large amounts of your content into your Backblaze account quickly. Backblaze ships you a 70TB storage system that you connect to your network and copy content to. When the system is shipped back to Backblaze, it is quickly moved directly into your B2 account, dramatically reducing ingest times. 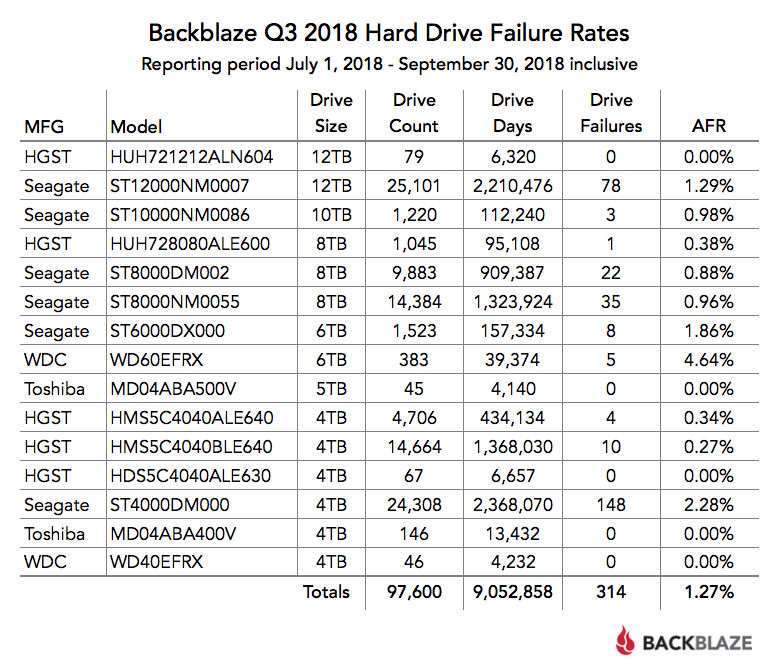 In addition to the archive on ingest technique, many customers share files for approval review or dailies directly from their Backblaze B2 account’s web interface. If your B2 bucket for finished files is public, you can get a direct share link from the Backblaze account management website and simply send that to your customer, thereby eliminating a copy step. 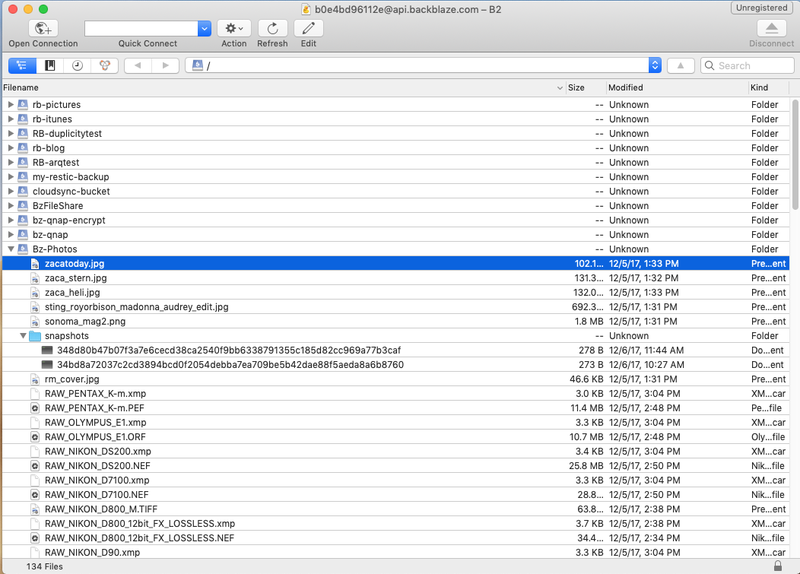 You can even snapshot a folder of your content in B2, and have Backblaze ship it directly to your customer. 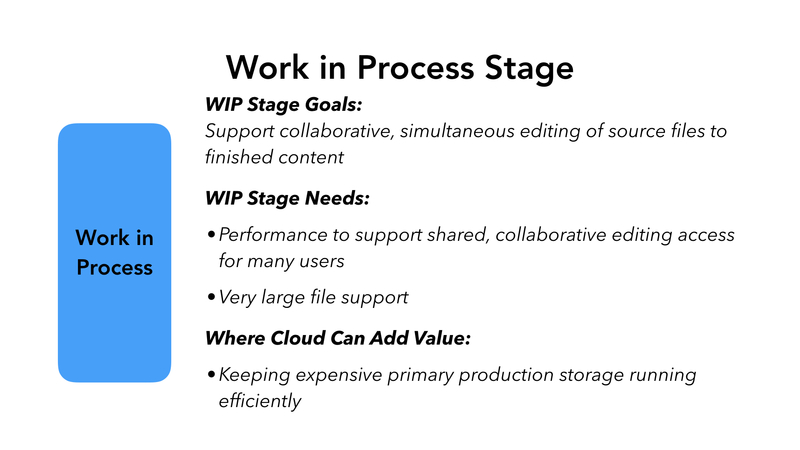 Work-in-process or primary production storage is the main storage used to support collaborative editing and production of content. The bulk of what’s thought of as collaborative editing happens in this stage. For simplicity we’re combining several steps under the umbrella of work-in-process such as craft editing, voiceover, sound, ADR, special effects, and even color grading and finish etc. under a far simpler work-in-process step. As audio, color grading and SFX steps get more complex, they sometimes need to be broken out into separate, extremely high performance storage such as more exotic (and expensive) flash-based storage that then feeds the result back to WIP storage. 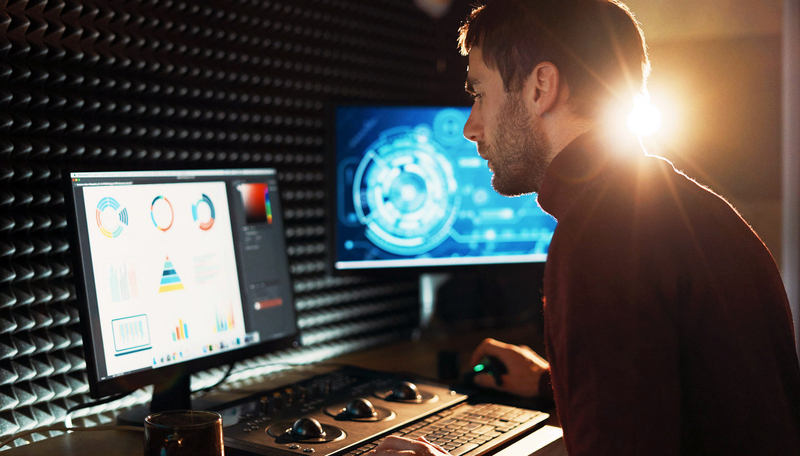 Storage performance requirements in this stage are extremely hard to meet, demanding the ability to serve multiple editors, each pulling multiple, extremely large streams of video files as they edit raw shots into a complex, visual story. Meeting this requirement usually requires either equipment intensive SAN, or a NAS that scales to eye-watering size and price. Many production environments have gotten in the habit of keeping older projects and media assets on the shared production environment alongside current production files, knowing that if those files are needed they can be retrieved quickly. But this also means that production storage fills up quickly, and it’s tempting to let more and more users not involved in primary production have access to those files as well, both of which can slow down production storage and creation of your content. 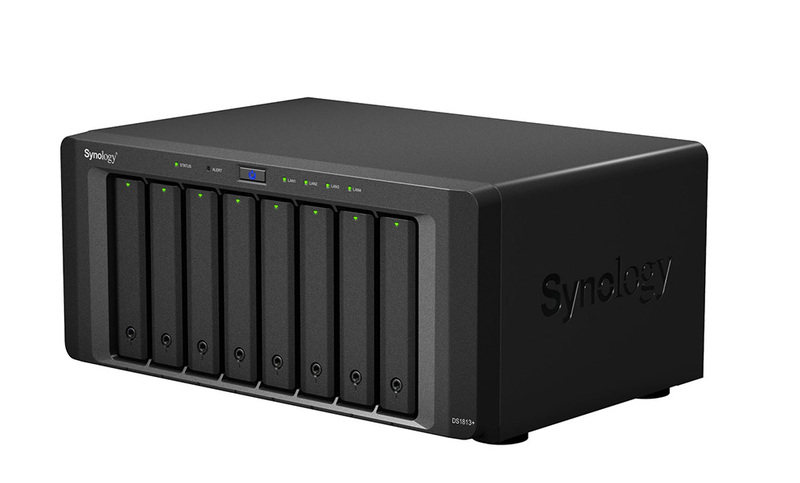 Having to make a rush purchase to expand or add to your SAN is not fun, especially in the middle of a project, so regularly moving any files not needed for current production to your content archive is a great strategy to keep your production storage as light and small as possible so that it can last over several seasons. By regularly moving content from your production storage you keep it light, fast, and simpler to manage. But that content still needs to be readily available. Cloud is an excellent choice here as content is both immediately available and stored on highly resilient object storage. In effect, you’re lightening the burden on your primary storage, and using cloud as an always ready, expanding store for all of your content. We’ll explore this concept more in the archive stage. The deliver stage, where your finished work is handed off to your customer, varies depending on what type of creative you are. Broadcast customers will almost always need dedicated playout server appliances, and others will simply copy files to where they’re needed by downstream customers, or upstream to a parent organization for distribution. But, at some level, we all have to deliver our work when it’s done. Files for delivery should be moved off of your primary production storage and delivered in a separate workflow available to dedicated workflow or playout tools. Whatever the workflow, this storage needs to be extremely reliable and available for your customers whenever it is needed. 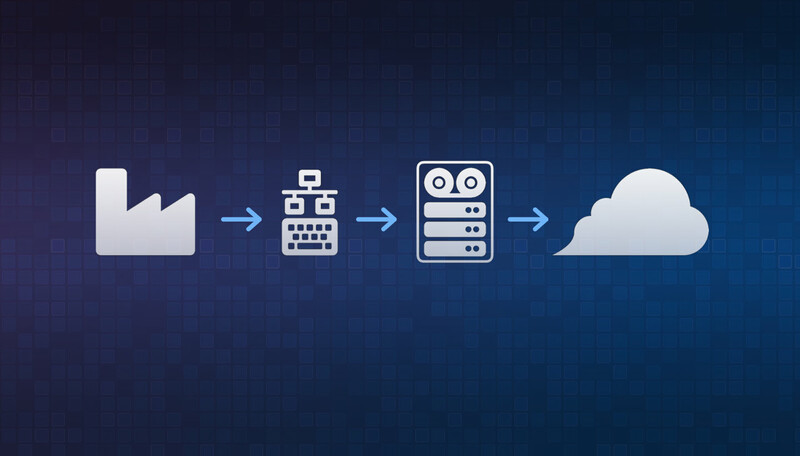 Whether content delivery in your workflow is met by copying files to a playout server or giving a finished file to a customer, cloud can help cut down on the number of steps to get the content to its final destination while giving you extreme reliability. If your team is comfortable writing scripts to automate your workflow, this can be a powerful way to directly share files simply and quickly with tools provided by Backblaze. At last, we come to the archive stage of content creation, traditionally thought of as the end of the traditional content creation chain, the source of the most frustration for creatives, and the hardest storage to size properly. Traditionally, when a project or season of a show is finished, all of the files used to create the content are moved off of expensive primary production storage and stored on separate, highly reliable storage in case they are needed again. 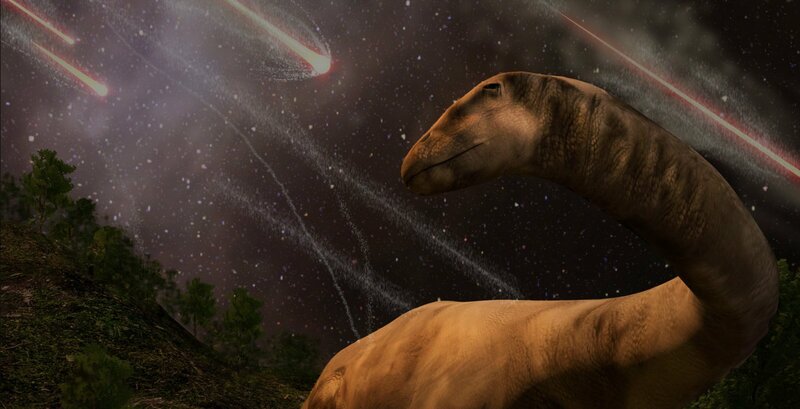 Archive storage needs to be a safe repository for all of the content that you’ve created. It should scale well at a sustainable price, and make all archived content available immediately when requested by your users and workflow tools like asset managers. 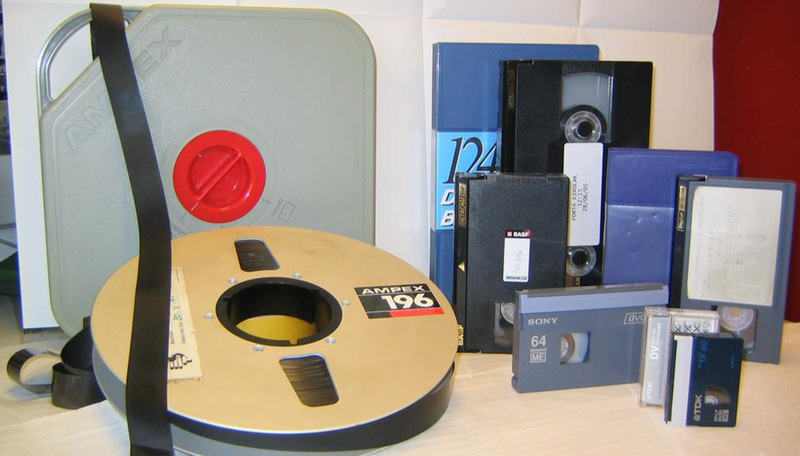 Tape was often chosen to store these archive files because it was cheaper than disk-based storage and offered good reliability. But choosing tape required a large investment in specialized tape systems, tape media, and the associated support contracts and maintenance. Tape based archiving strategies usually rely on compressing content as it’s written to tape to hit the advertised storage capacity of tape media. But video content is already stored in a compressed container, so compressing those files as they’re written and retrieved from tape offers no advantage and only slows the process down. Here we find the chief drawback of tape based content archives for many customers: the time required to retrieve content from those tape systems. As the pace of production has increased, many customers find they can no longer wait for tape systems to return archive sets or unarchive files. 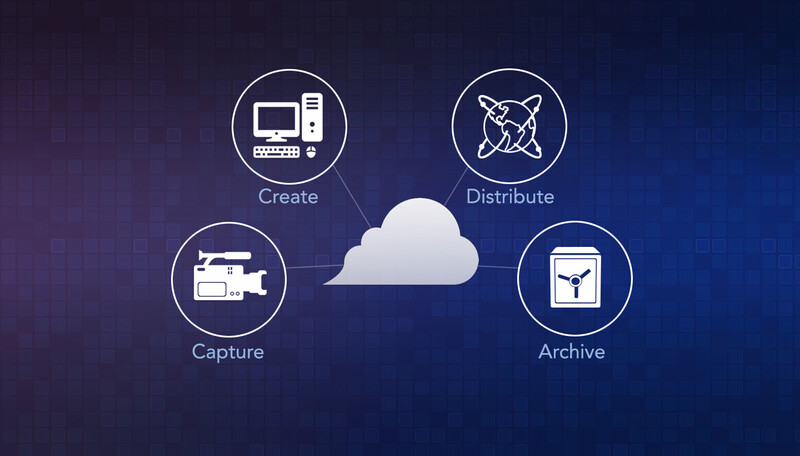 The archive stage is where cloud has the most impact on your entire workflow. The benefits of cloud itself are familiar: the ability to scale up or down instantly as your needs change, paying only for the storage you actually use, extremely high object storage file reliability, and availability anywhere there is a network connection. Having all of your content immediately available to your production storage and your asset management systems is emerging as the killer feature of cloud for production environments. 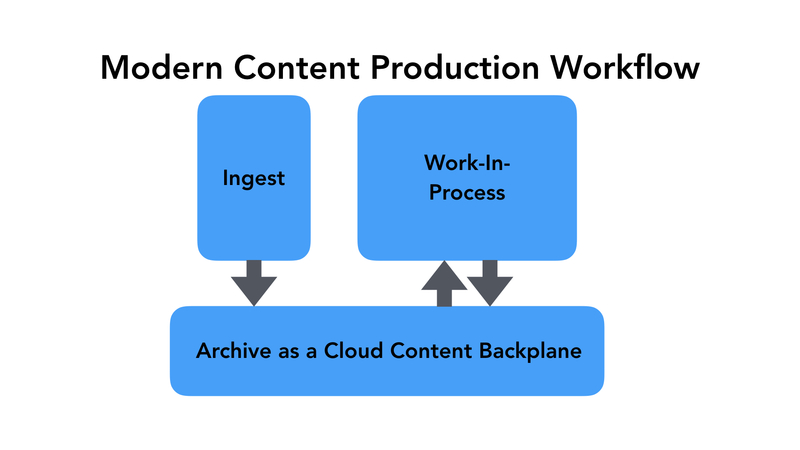 By adding cloud, your content production goes from a linear process to a highly active one where content can freely check in and out of all of your other workflow steps as you’re producing content. The content not needed on your work-in-process storage is both highly protected and immediately available wherever you need it. Your entire workflow can get much simpler with fewer steps, and you can phase out storage you no longer need on-site. Above all, you’ll have fewer steps between you and creating great content, and you’ll be able to explore new creative options faster while shifting to a pay-as-you-use-it model for all of your content storage. In part two, we’ll explore the ways your new cloud-delivered content archive backplane can dramatically improve how you create, deliver, and monetize content with other cloud-based technologies in the age of cloud. 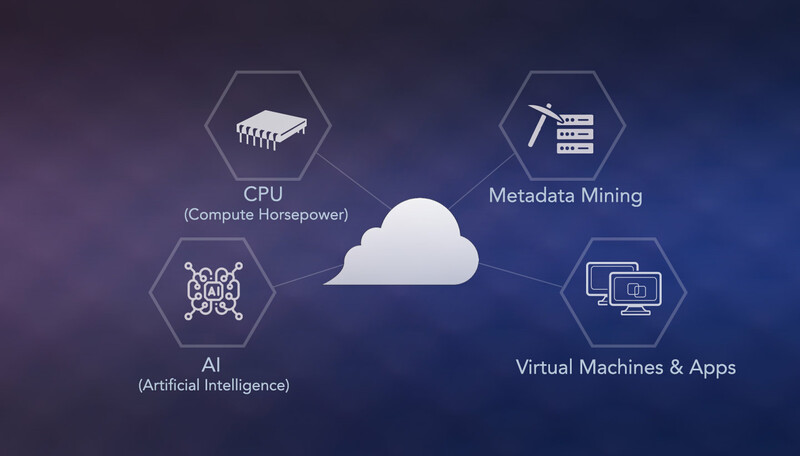 The post Modern Storage Workflows in the Age of Cloud appeared first on Backblaze Blog | Cloud Storage & Cloud Backup. 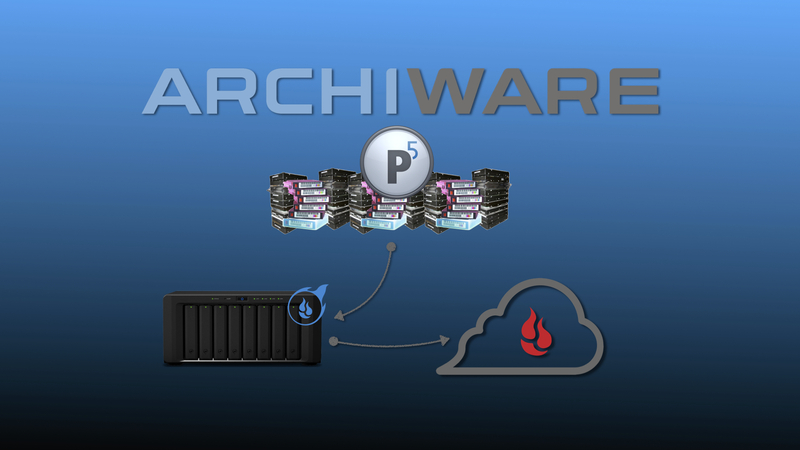 The post Move Even Your Largest Archives to B2 with Fireball and Archiware P5 appeared first on Backblaze Blog | Cloud Storage & Cloud Backup. 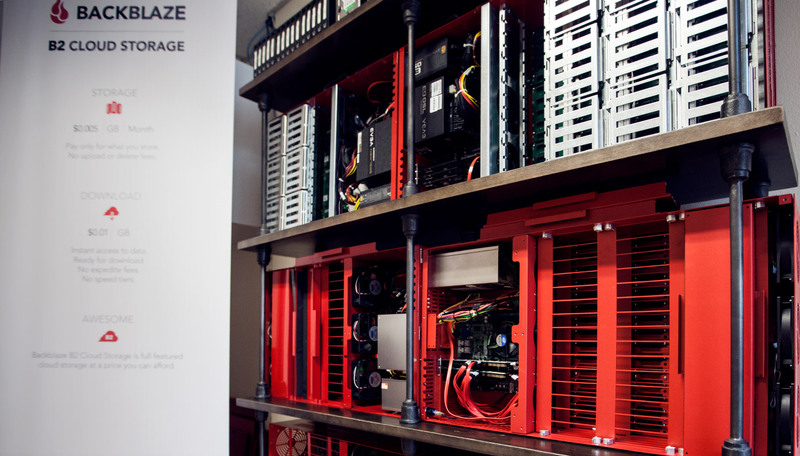 The post iconik and Backblaze — The Cloud Production Solution You’ve Always Wanted appeared first on Backblaze Blog | Cloud Storage & Cloud Backup. 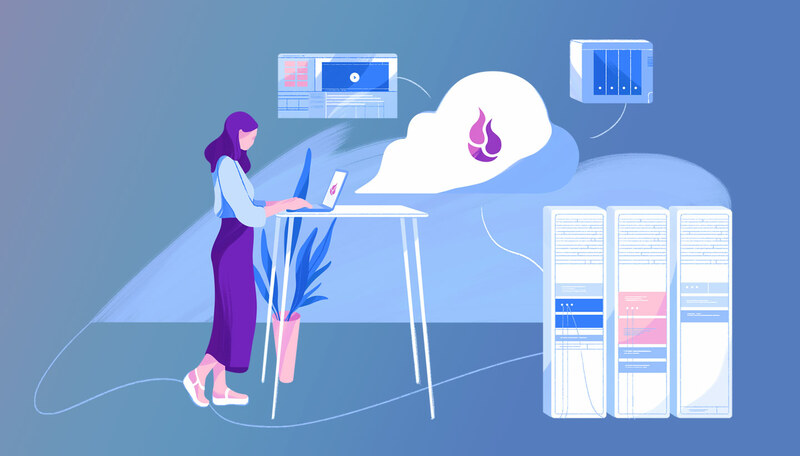 The post Backblaze and Cloudflare Partner to Provide Free Data Transfer appeared first on Backblaze Blog | Cloud Storage & Cloud Backup.